The 5th Regional Grouper Hatchery Training Course was another success with all participants is pleased with the overall training activities and field trips. A total of 17 participants from eight countries attended the training course which was hosted by the Brackishwater Aquaculture Development Centre, Situbondo, Indonesia. 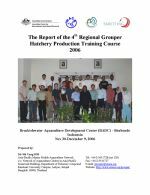 Participants were able to involve in the broodstock activities for giant grouper, in additional to the tiger and humpback groupers, and attended field trips to backyard hatcheries and export facilities. 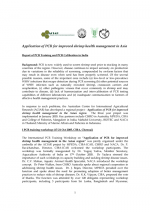 This is the report of the project Application of PCR for improved shrimp health management in the Asian region. The training programme included two training workshops that were designed to provide a good understanding of PCR methodology, laboratory practices and trouble shooting in detection of both DNA and RNA viruses. The workshops were followed by by two rounds of an anonymous PCR inter-calibration or ring testing exercise to allow laboratories to gauge their own performance. In 2006 the COFI Sub-Committee on Aquaculture noted that many non-governmental certification schemes have resulted in higher costs for producers without delivering significant benefits to small-scale producers. An international round of consultations were commissioned to discuss the development of globally accepted certification guidelines for aquaculture production, which could provide more guidance and serve as a basis for harmonisation and mutual recognition. 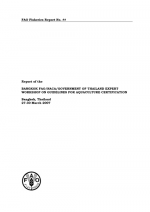 This is the report of the first consultation workshop, held in Bangkok, March 2007. 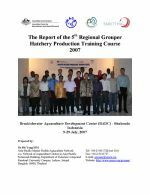 This report describes a training course on grouper hatchery protocols that was held in Indonesia in 2006. A total of 20 participants from 13 countries attended the training course which was hosted by the Brackishwater Aquaculture Development Centre, Situbondo. Participants came from Australia, Hong Kong, Indonesia, India, Malaysia, Maldives, Myanmar, Philippines, Qatar, Saudi Arabia, Singapore, Thailand and Vietnam. The Marine Products Export Development Authority (MPEDA) and the Network of Aquaculture Centres in Asia-Pacific (NACA) jointly hosted a special session on Better Management Practices (BMPs) at the 3rd INDAQUA 2007, 11-13 January 2007, Chennai, India. The presentations made in the session include i) International principles for responsible shrimp farming; ii) MPEDA-NACA Village demonstration programme, India; Aquaculture rehabilitation and implementation of BMPs in tsunami affected Aceh, Indonesia; and Markets, certification and traceability and small-scale farmers. 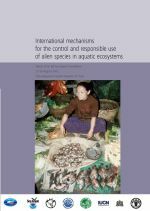 The use of alien species is a proven means to increase production and value from aquatic ecosystems. However, alien species are now recognised as one of the most significant threats to aquatic biodiversity. 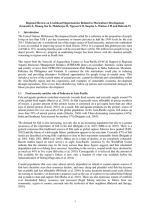 There are a range of international mechanisms that have been established to assist countries in meeting international obligations and responsibilities. Implementation is often difficult due to lack of awareness and problems with enforcement. 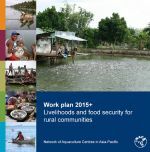 Regional coordination of policies is needed for effective national management. 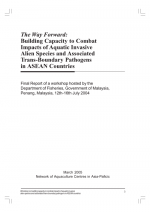 This is the proceedings of the workshop on Building capacity to combat impacts of aquatic invasive alien species and associated trans-boundary pathogens in ASEAN countries, held in Penang, Malaysia, on the 12th-16th July 2004. The workshop built on the recommendations from a 2002 workshop organised by the Global Invasive Species Program and a 2003 workshop of countries sharing the Mekong watershed, in promoting awareness, coordination mechanisms and information exchange systems and identifying management and risk mitigation measures. 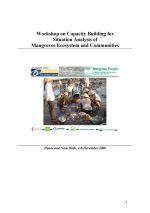 These are the proceedings of two Workshops on Capacity Building for Situation Analysis of Mangroves Ecosystem and Communities, held in Hanoi and Nam Dinh, 4-8 December 2006. The workshop focused on developing the knowledge and skills of the VNU team in Sustainable Livelihoods Analysis through the application of Participatory Rural Appraisal (PRA) techniques. The workshops were funded under the European Union Mangrove Project (2005-2008) in preparation for commencement of field-based activities and situation analysis. 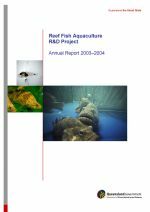 This is the annual report (2003-2004) of the Reef Fish Aquaculture R&D Project, based at the Northern Fisheries Centre, Cairns. The project provides a core platform for a suite of R&D projects addressing the feasibility of aquaculture technologies for high-value marine finfish species. 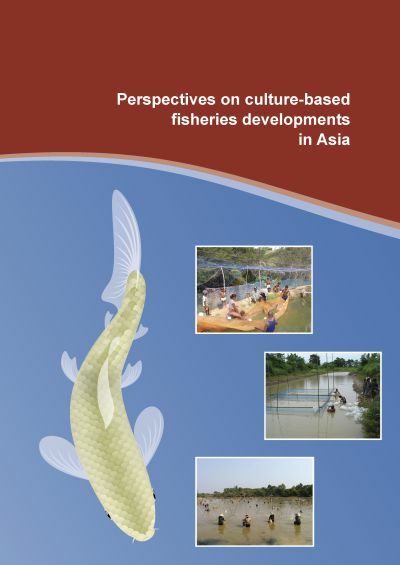 This report outlines progress on the three core components of the programme, namely broodstock management and spawning, live prey production, and larval rearing and grow-out.